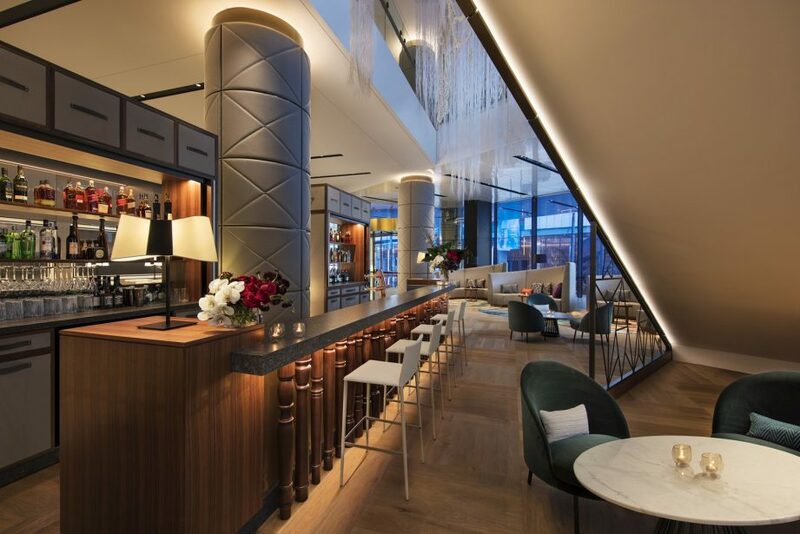 The ground-floor lobby bar at Sofitel Sydney Darling Harbour is the place for stimulating conversations, micro-meetings or simply sitting back and relishing the refined atmosphere. Weathered timber floors recall the wharves and warehouses which once defined Darling Harbour. Plush leather furniture invites you to relax and indulge. Savour premium spirits and Champagnes with gourmet morsels. Morning pick ups with a selection of croissants available before noon, or get in the evening mood over finely crafted cocktails at the Apero Chic cocktail hour.